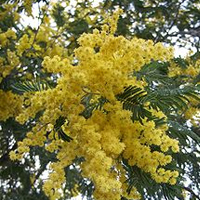 Silver wattle scientifically known as Acacia dealbata is a species of Acacia belonging to the Fabaceae ⁄ Leguminosae (Pea family). The plant is native to southeastern Australia in New South Wales, Victoria, Tasmania, and the Australian Capital Territory and widely introduced in Mediterranean, warm temperate, and highland tropical landscapes. It favors disturbed places in coastal prairies, riparian areas and coniferous forests. The Latin specific epithet dealbata also means “covered in a white powder”. 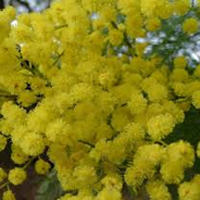 Few of the popular common names of the plant are Mimosa, Silver wattle, Sydney black wattle, Wattle bark, black wattle, blue wattle and Tasmania mimosa. 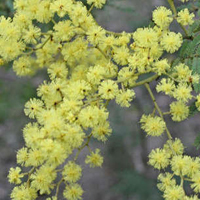 Silver wattle is often confused with green wattle (Acacia decurrens), but is distinguishable by the small, silvery hairs that grow on its twigs. It spreads via rhizomes and seeds, and easily re-sprouts after being cut. 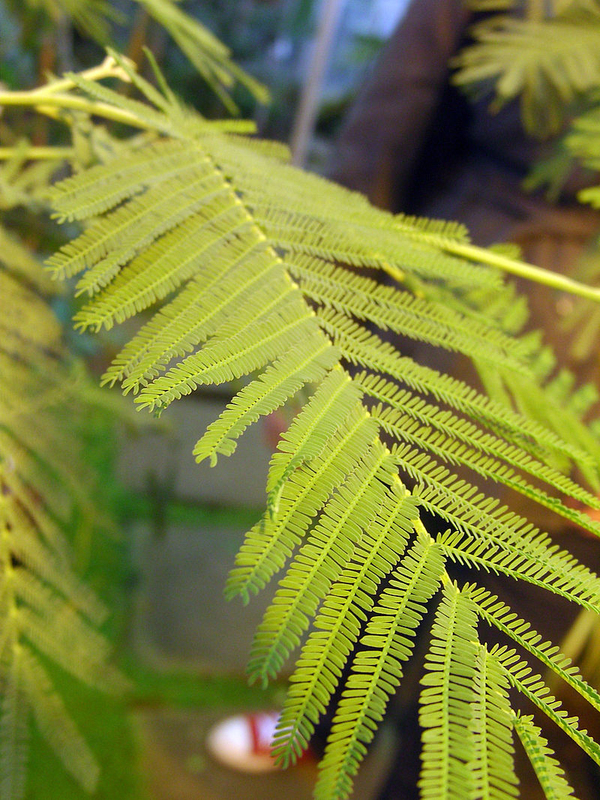 Acacia dealbata changes soil chemistry by fixing nitrogen and the plants’ fallen leaves may have allopathic effects that prevent the growth of native understory plants. 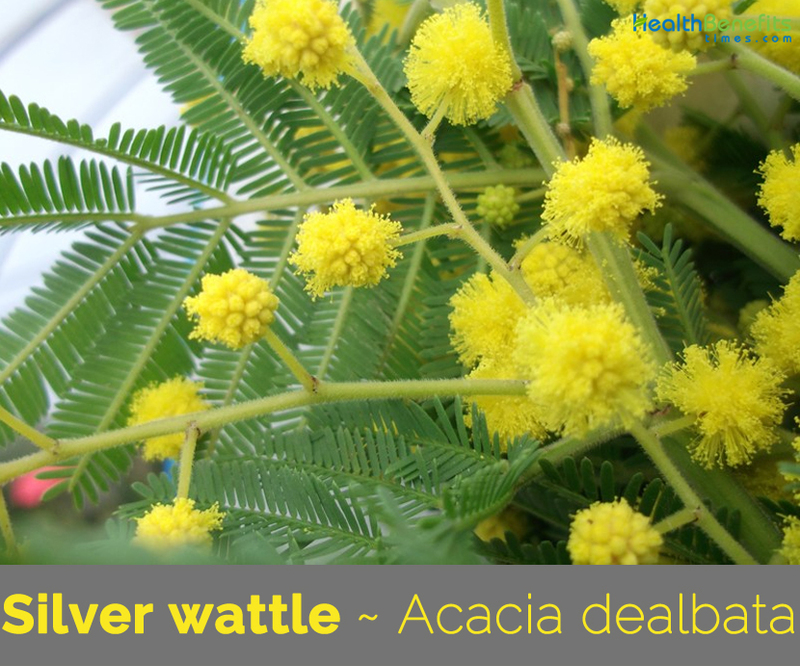 Like many acacias, silver wattle is commonly planted as an ornamental. The plant is attractive to wildlife, and also is commonly grown by the cut-flower industry both for its foliage and flowers. 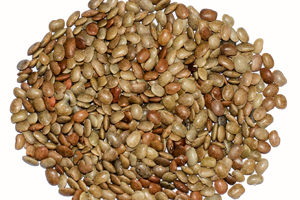 It also is known for its Nitrogen fixing abilities that benefit other plants growing nearby as well as the tree itself. 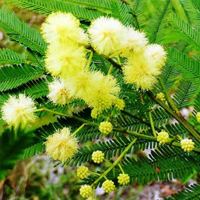 Silver wattle is a large, unarmed, fast-growing evergreen spreading tree or bushy shrub that grows about 1.5-10 m tall, but occasionally reaching up to 30 m in height. The plant is found growing in railways, roadside, natural forests, natural grasslands, riverbanks, montane forests, along watercourses, in dry sclerophyllous forests and woodlands. The plant requires well-drained and slightly acidic soil. The bark of this species is mostly smooth and either grey, grayish-brown, brown or dark brown in color. However, older trunks may become deeply fissured. Younger branches are rounded or slightly angular with ridges towards their tips. These branches are usually finely hairy and conspicuously bluish-green (i.e. glaucous) or whitish in color due to the presence of a powdery substance (i.e. they are pruinose). The young foliage-tips are white, whitish-yellow or cream-colored and densely covered in fine hairs (i.e. velvety-tomentose). The leaves are twice-compound (i.e. bipinnate) and usually somewhat bluish-grey or silvery-green in color (i.e. they are slightly to very glaucous). These leaves are 6-17 cm long and are alternately arranged along the stems and have a short hairy leaf stalk (i.e. petiole) that is 1 to 15 mm long. The extension of this stalk (i.e. rachis), which bears numerous (10-30) pairs of leaf branchlets (i.e. pinnae), is 3-17 cm long (usually 5-10 cm long). It is finely hairy and bears a small raised structure (i.e. gland) at the junction of the each of the pairs of branchlets (i.e. pinnae). The leaf branchlets (15-55 mm long) each bear numerous (14-68) pairs of small, narrowly oblong to linear leaflets (i.e. pinnules). These leaflets are 1.5-6 mm long and 0.4-1 mm wide and are very crowded and have rounded or pointed tips (i.e. obtuse to acute apices). Their upper surfaces are mostly hairless (i.e. glabrous), while their margins and lower surfaces are usually finely hairy (i.e. pubescent). The small yellow or golden-yellow flowers are very fluffy in appearance due to the presence of numerous stamens. These flowers have five relatively inconspicuous petals and sepals and are densely arranged into small globular clusters (4-7.5 mm across), each containing 22-42 flowers. The small globular flower clusters are borne on short stalks (i.e. peduncles) 2-6 mm long that are finely hairy and usually whitish-grey in color. 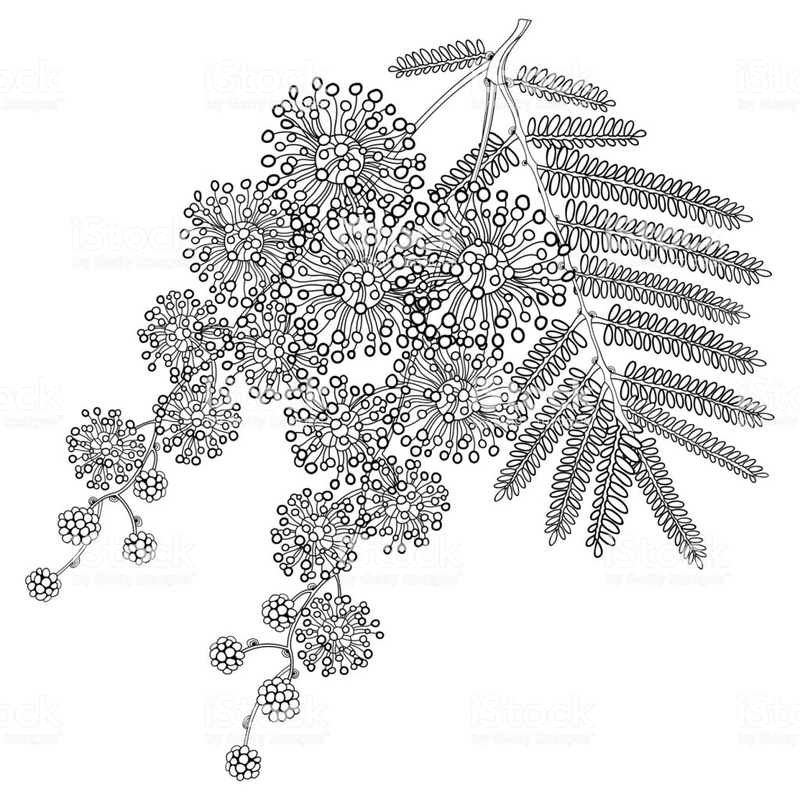 These globular flower clusters are alternately arranged along a small branch originating from the forks (i.e. axils) of the leaves, or occasionally borne at the tip of the stem. The branches are often somewhat zigzagged in nature and may or may not be branched (i.e. they form axillary or terminal racemes or panicles). Flowering generally occurs during late winter and spring (i.e. from July to November). Fertile flowers are followed by an elongated and somewhat flattened pod (20-115 mm long and 6-14 mm wide). 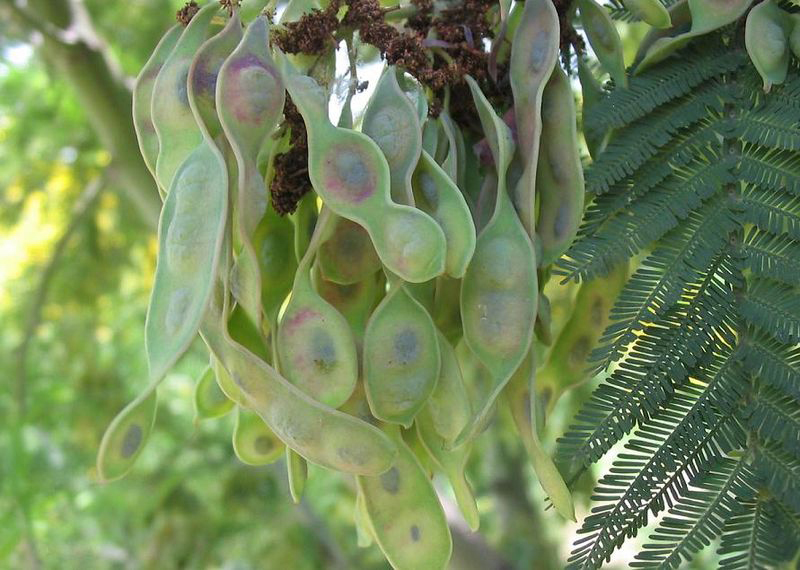 These pods are not, or only slightly, constricted between some or all of the seeds and are either straight or slightly curved. They are bluish-green (i.e. glaucous) or covered in a whitish powdery substance (i.e. pruinose) when young and generally turn greyish-brown or purplish-brown in color as they mature. Fruit are normally present during late spring and summer (i.e. mostly from November to January, but sometimes through to March). 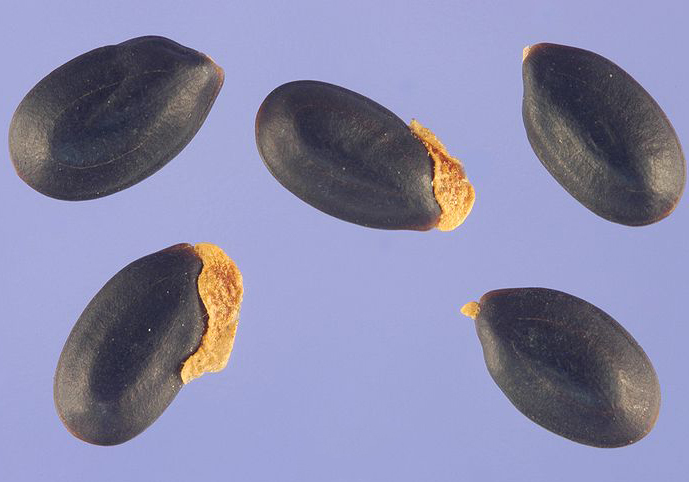 Each pod contains several seeds (about 4 mm long) that have a small fleshy structure (i.e. aril) attached to them. 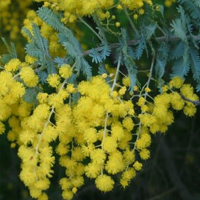 Silver wattle has young branches and foliage tips that are finely hairy and whitish-green or whitish-yellow in color. Its silvery-grey leaves have numerous (10-30) pairs of hairy branchlets. These leaves are shortly stalked and there is usually a small raised structure near the top of this leaf stalk. There are also similar glands at the junction of the each of the pairs of branchlets. The leaflets are relatively small (1.5-6 mm long) and usually quite elongated in shape. Its flowers are yellow or golden yellow and borne in small globular clusters, which are arranged into larger elongated compound, clusters (i.e. racemes or panicles). The pods are relatively large (20-115 mm long and 6-14 mm wide). 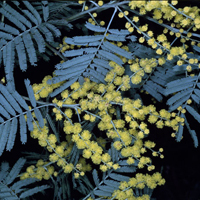 Black wattle (Acacia mearnsii) has young branches and foliage tips that are finely hairy and yellow or greenish-yellow in color. Its dark green leaves have numerous (7-31) pairs of hairy branchlets. These leaves are shortly stalked and there is usually a small raised structure near the top of this leaf stalk. There are also similar glands at the junction of the each of the pairs of branchlets, and also between some or all pairs of branchlets. The leaflets are quite small (1-3.5 mm long) and usually not particularly elongated in shape. Its flowers are pale yellow or cream-colored and borne in small globular clusters, which are arranged into larger elongated compound clusters (i.e. racemes or panicles). The pods are relatively large (30-150 mm long and 4-8 mm wide). 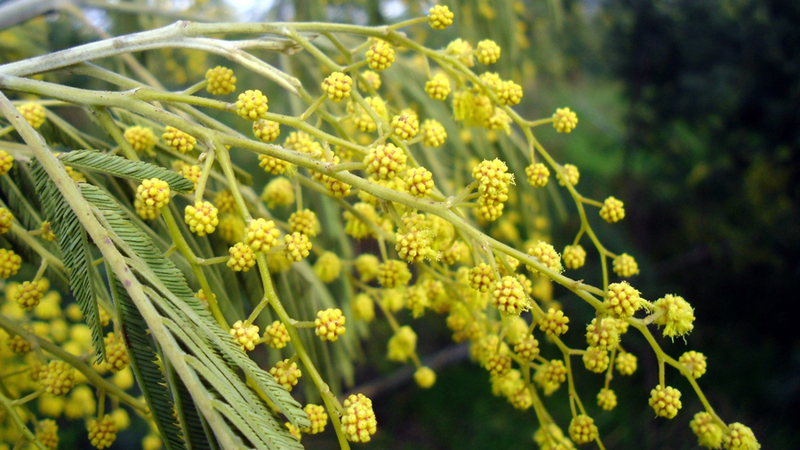 Sydney green wattle (Acacia decurrens) has young branches with conspicuous flanges and foliage tips that are mostly hairless and yellowish in color. Its dark green leaves have several to numerous (3-13) pairs of hairless branchlets. These leaves are shortly stalked and there is usually a small raised structure near the top of this leaf stalk. There are also similar glands at the junction of the each of the pairs of branchlets. The leaflets are quite large (5-15 mm long) and very narrow. Its flowers are yellow or golden yellow and borne in small globular clusters, which are arranged into larger elongated compound, clusters. The pods are relatively large (20-105 mm long and 4-9 mm wide). 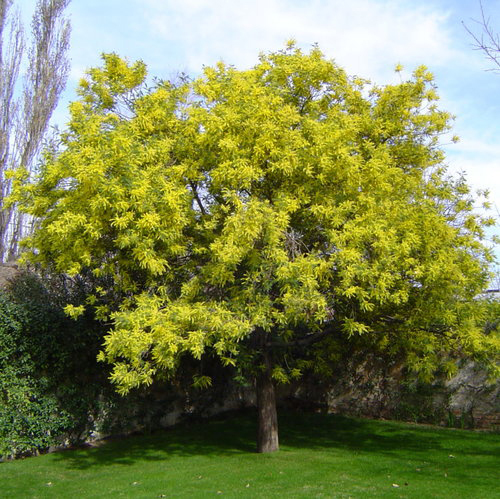 Green wattle (Acacia irrorata) has young branches and foliage tips that are finely hairy and yellow, greenish yellow or orange in color. Its dark green leaves have numerous (5-26) pairs of hairy branchlets. These leaves are shortly stalked and there is no small raised structure near the top of this leaf stalk. There are small glands at the junction of the some of the pairs of branchlets. The leaflets are relatively small (2-5 mm long) and usually quite elongated in shape. Its flowers are pale yellow or cream-colored and borne in small globular clusters, which are arranged into larger elongated compound clusters. The pods are relatively large (20-120 mm long and 5-12 mm wide). Northern silver wattle (Acacia leucoclada) has young branches and foliage tips that are finely hairy and silvery or whitish in color. Its silvery or green leaves have numerous (5-18) pairs of hairy branchlets. These leaves are shortly stalked and there is sometimes a small raised structure near the top of this leaf stalk. There are also similar glands at the junction of some or all of the pairs of branchlets, and also between several of the pairs of branchlets. The leaflets are relatively small (1-6 mm long) and usually quite elongated in shape. Its flowers are yellow or golden yellow and borne in small globular clusters, which are arranged into larger elongated compound, clusters. The pods are relatively large (30-120 mm long and 4-12 mm wide). 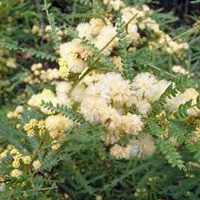 Bodalla silver wattle (Acacia silvestris) has young branches and foliage tips that are finely hairy and whitish, grey or yellow in color. Its green or silvery-green leaves have numerous (5-18) pairs of mostly hairless branchlets. These leaves are shortly stalked and there are sometimes one or more small raised structures near the top of this leaf stalk. There are also similar glands at the junction of all of the pairs of branchlets, and also one or more glands between each of the pairs of branchlets. The leaflets are relatively large (3-11 mm long) and usually quite elongated in shape. Its flowers are yellow and borne in small globular clusters, which are arranged into larger elongated compound clusters. The pods are relatively large (40-155 mm long and 6-10 mm wide). Dwarf silver wattle (Acacia nanodealbata) has young branches and foliage tips that are finely hairy and yellow or greenish-yellow in color. 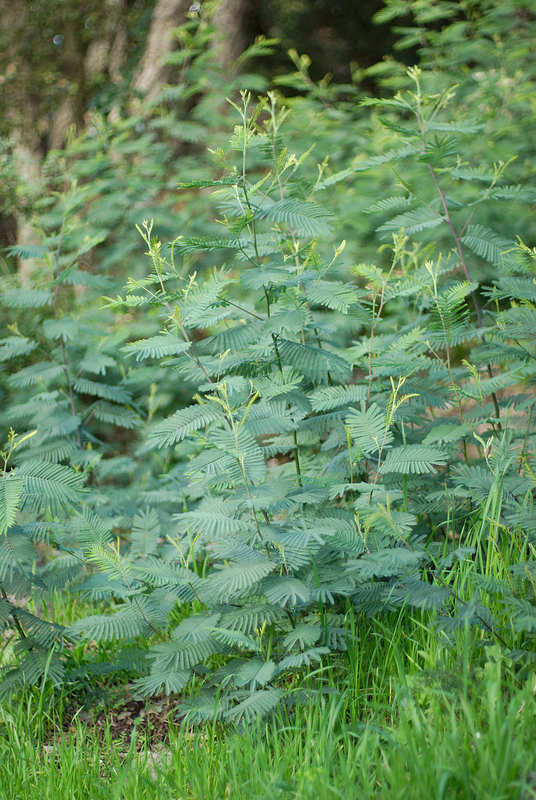 Its dark green leaves have numerous (6-26) pairs of mostly hairless branchlets. These leaves are shortly stalked and there is sometimes a small raised structure near the top of this leaf stalk. There are also prominent glands at the junction of all of the pairs of branchlets. The leaflets are very small (1-2.5 mm long) and usually not particularly elongated in shape. Its flowers are golden yellow and borne in small globular clusters, which are arranged into larger elongated compound clusters. The pods are relatively large (30-85 mm long and 9-20 mm wide). 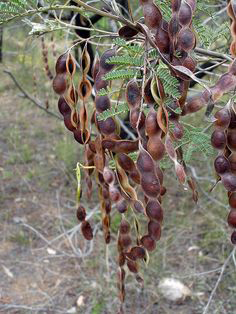 Cootamundra wattle (Acacia baileyana) has young branches and foliage tips that are hairless or slightly hairy and bluish-green or occasionally purplish in color. 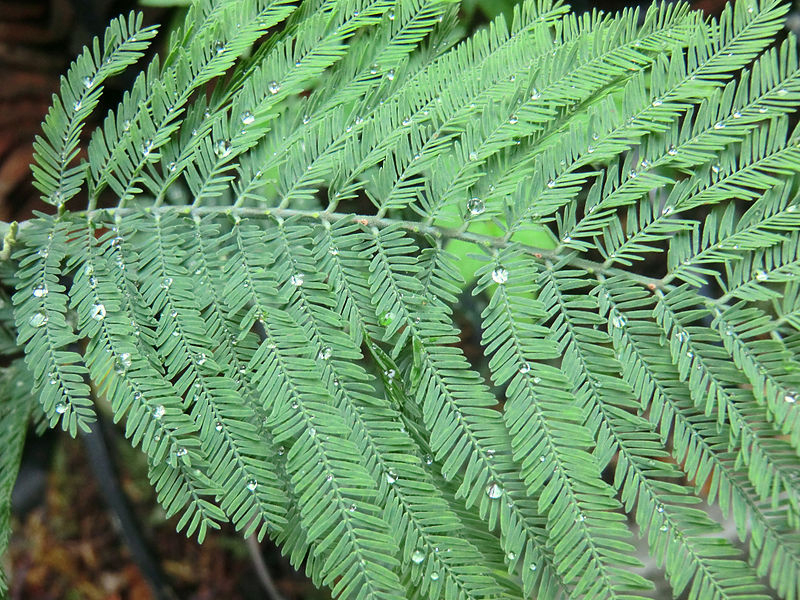 Its silvery-grey leaves have only a few (2-6) pairs of branchlets. These leaves are almost stalk less and the lowermost pair of branchlets are angled backwards (i.e. reflexed). There are small raised structures (i.e. glands) at the junction of the upper few pairs of branchlets. The leaflets are relatively small (3-8 mm long) and somewhat elongated in shape. Its flowers are yellow or golden yellow and borne in small globular clusters, which are arranged into larger elongated compound, clusters. The pods are relatively large (30-120 mm long and 8-15 mm wide). 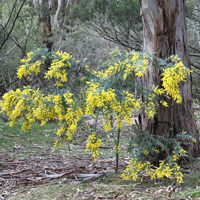 Karri wattle (Acacia pentadenia) has young branches and foliage tips that are hairless and greenish in color. Its dark green leaves have only a few (2-5) pairs of branchlets. These leaves are almost stalk less and the lowermost pair of branchlets are very small. There are small raised structures near the junctions of each of the pairs of branchlets. The leaflets are relatively small (3-6 mm long) and somewhat elongated in shape. Its flowers are pale yellow or cream-colored and borne in small globular clusters, with only a few (2-4) of these clusters being arranged into short compound clusters. The pods are relatively small (20-50 mm long and only 3-4 mm wide). The essential oil is soothing and reducing the nerves, astringent and antiseptic. They are used in the treatment of diarrhea and dysentery, and can also be helpful in cases of internal bleeding. When applied externally, as a wash, they are used to treat wounds and other skin problems, hemorrhoids, perspiring feet, some eye problems, as a mouth wash etc. 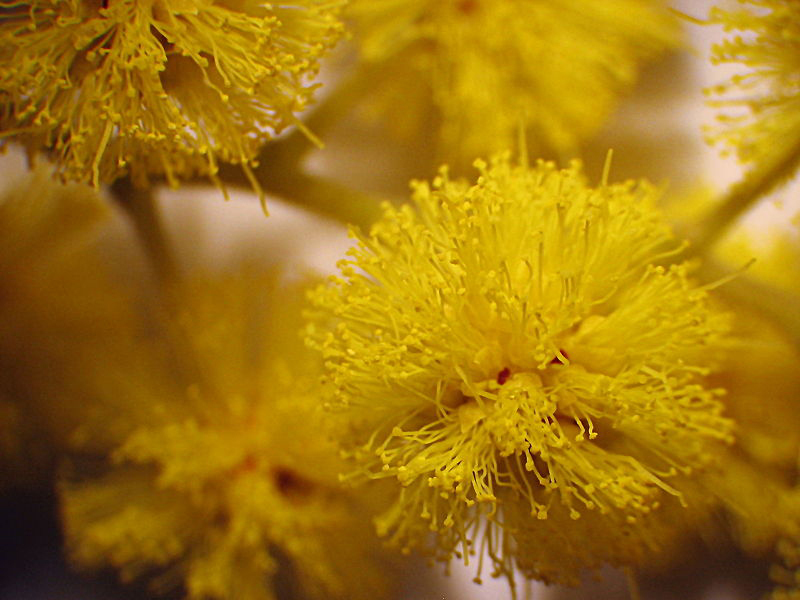 Flowers are rich in pollen; they are often used in fritters. Gum that exudes naturally from the trunk is edible and is used as a substitute for Gum Arabic. 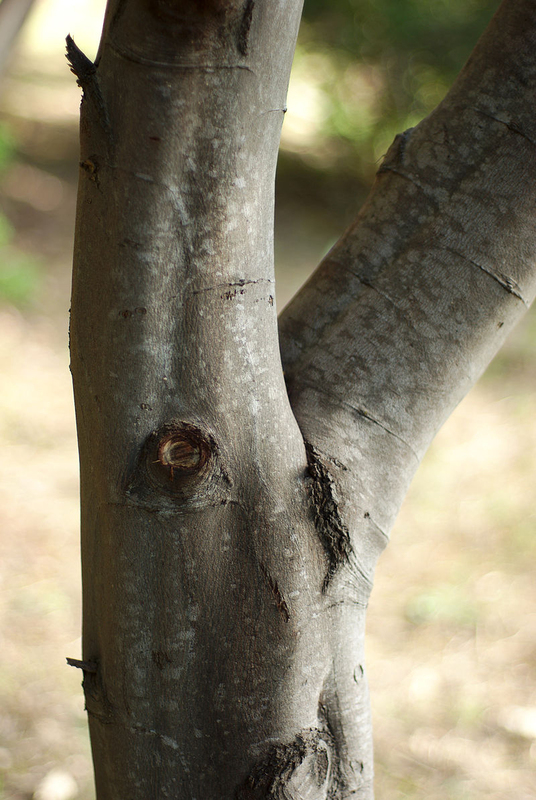 Larger quantities can be obtained by tapping the trunk. Some species produce a gum that is dark and is liable to be astringent and distasteful, but others produce a light gum and this is sweet and pleasant. It can be sucked like candy or soaked in water to make a jelly. Gum can be warmed when it becomes soft and chew able. Leaves are sometimes used in Indian chutney. Yellow dye is obtained from the flowers. 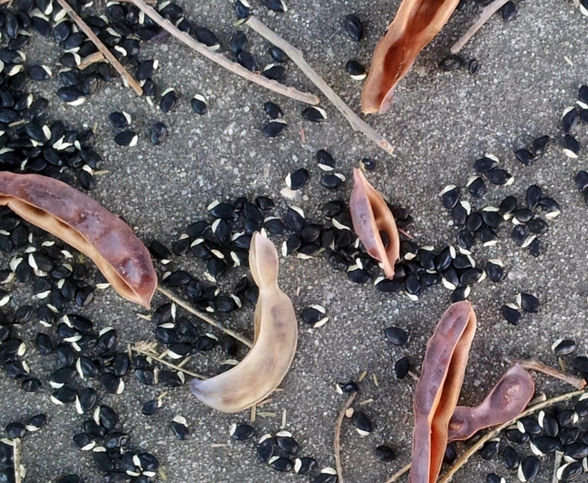 Green dye is obtained from the seed pods. Extensive root system of this plant helps to prevent soil erosion. 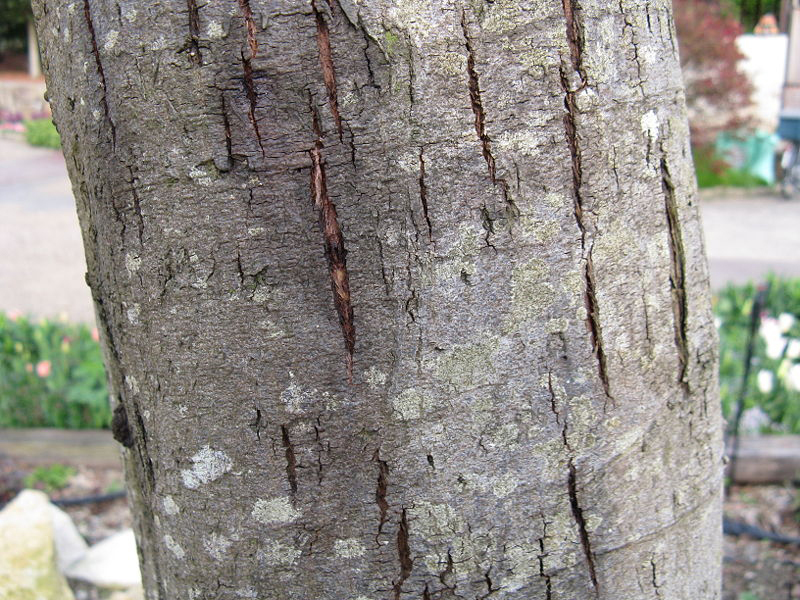 Tannin is obtained from the bark. It is a satisfactory fuel wood, is used as a furniture timber and occasionally for wood wool, poles, and has good gluing properties. Its kraft pulping and paper making properties make it suitable for a range of paper and paperboard products such as liner boards, bag and wrapping papers, white boards and writing and printing paper. Flowers are used for perfume production and French manufacturers recognize the extract for its ability as a blender and ‘smoothing agent’ for synthetics and as a fixative in high grade perfume. 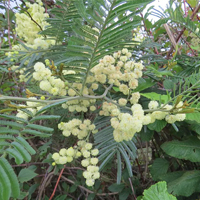 dealbata is a valuable source of pollen for bees. Its gum may be used as a substitute for gum Arabic and occasionally its bark is used for tanning production but is lower yielding and poorer quality when compared with A. mearnsii. Wool may be dyed yellow-fawn or green using A. dealbata leaves depending on the mordents used. Its young branches and immature fruit have a whitish-colored powdery or waxy coating that gives them a frosty appearance. It has been used in windbreaks and also to control soil erosion, stabilizes hillsides and gullies. An essential oil obtained from the flowers is used as a fixative in high-grade perfumery products. In some European countries, the flowers are frequently given to Women on International Women’s day. Fire can be used as a control device as it can reduce the soil seedbank by killing seeds or inducing germination which can then be chemically controlled. Note that in cultivation, fire has been used to encourage regeneration in older plantations. Single hot fire favors regeneration of mature acacia stands. After a fire in Sri Lanka, up to 32,000 seedlings per hectare were found and at two years of age had an average height of 3-4m. Weber, 2003 reports mechanical control by ring barking or digging out plants. Methods of chemical control are drawn by Delabraze and Valette, Fagg and Flinn, Fagg and Cameron and Campbell et al. but they are expensive. Weber 2003 lists approaches including chemical control by basal stem treatment, stump treatment or foliar application. 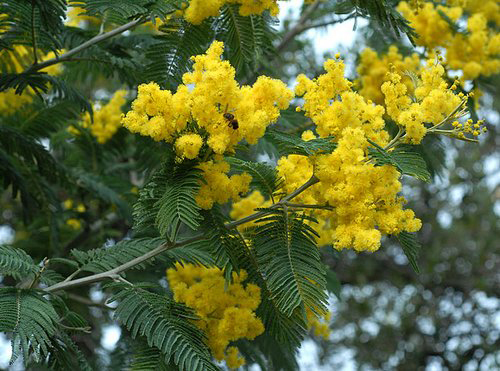 Biological control methods are available but are not suitable in regions where other acacias are in commercial use, eg. Black wattle for tannin. Cut stumps need to be treated with herbicides to prevent re-sprouting and should be kept less than 15 cm in height while follow up removal of emerging seedlings, control of coppice growth etc. should occur after large clearing attempts. Next Article What is Fettuccine? 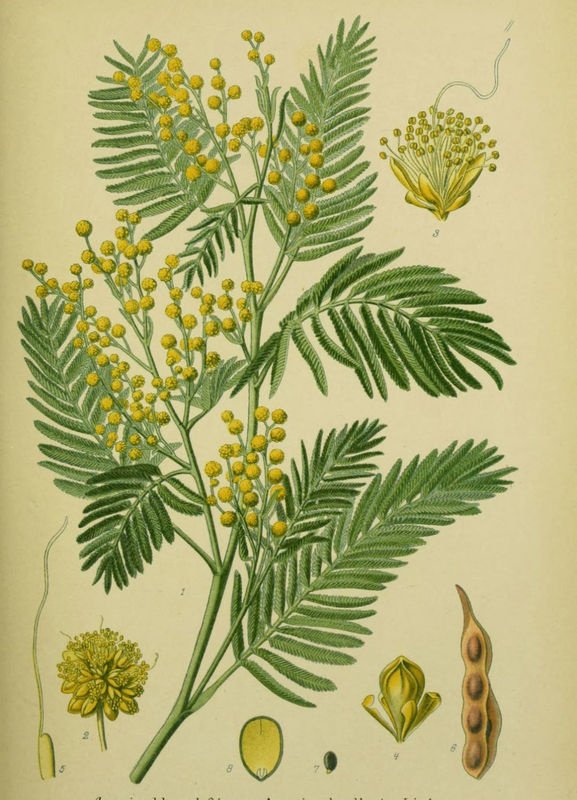 Acacia decurrens var. dealbata (Link) F.Muell.